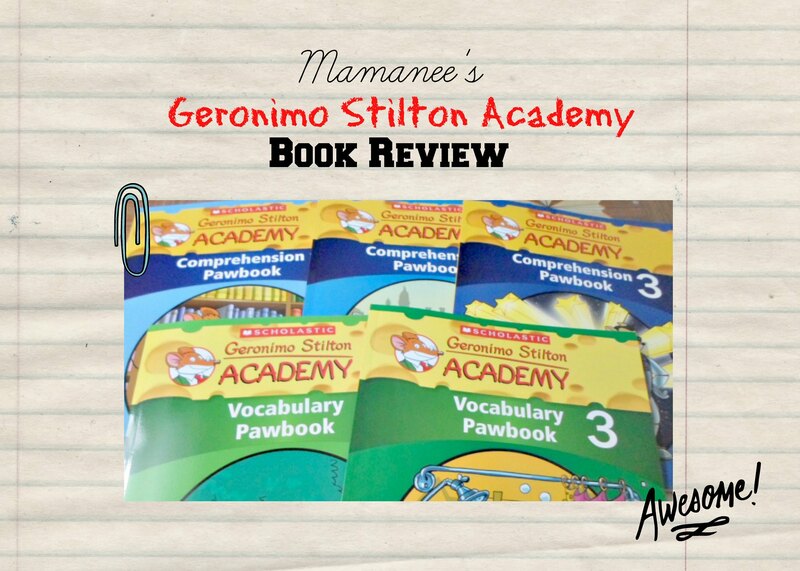 I am one of those moms that is an advocate of books than the tablet or gadget, so getting the opportunity to review the Geronimo Stilton Academy Pawbooks was a super delight for me. 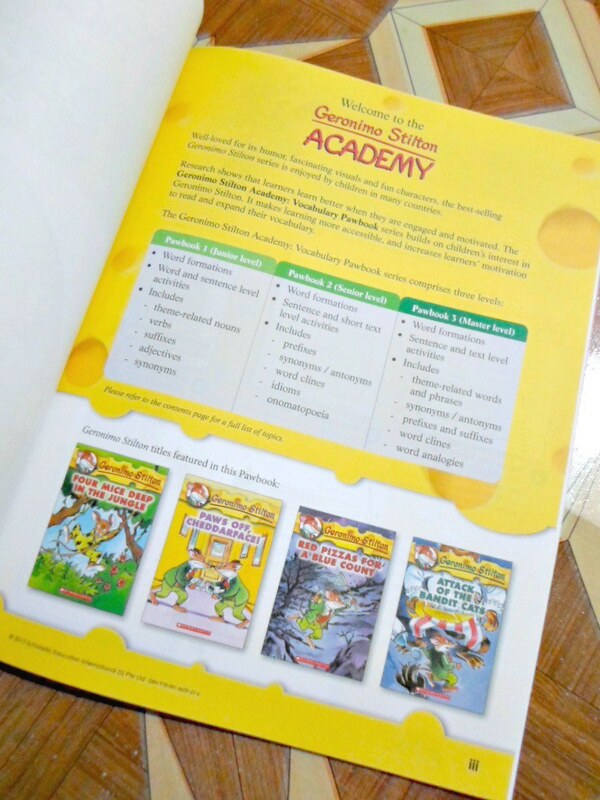 It is said that schooling should be continued at home and this is how our children will become better if we guide their academics, now if you are homeschooling, well these Geronimo Stilton Academy Pawbooks will be a great addition to your homeschooling agenda. 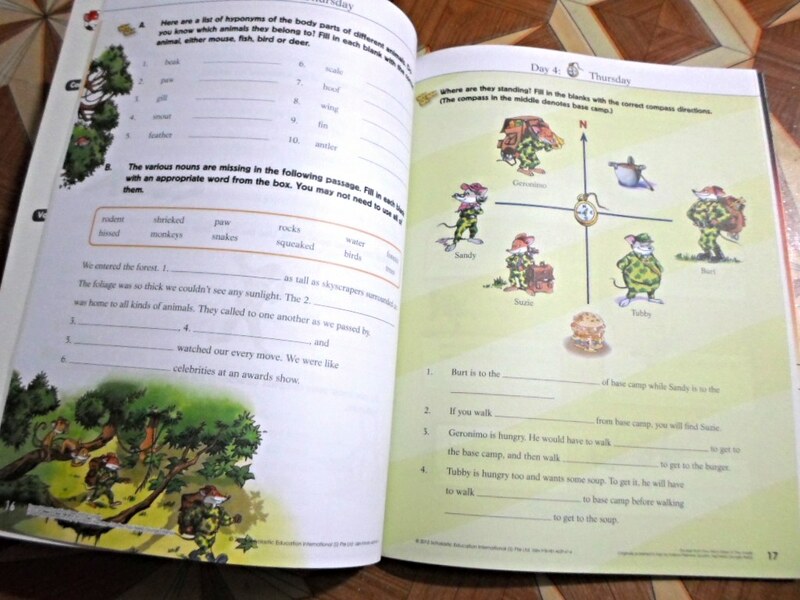 These Geronimo Stilton Academy Pawbooks are activity books to help your grade schooler with comprehension, vocabulary and grammar and aims to make it fun! 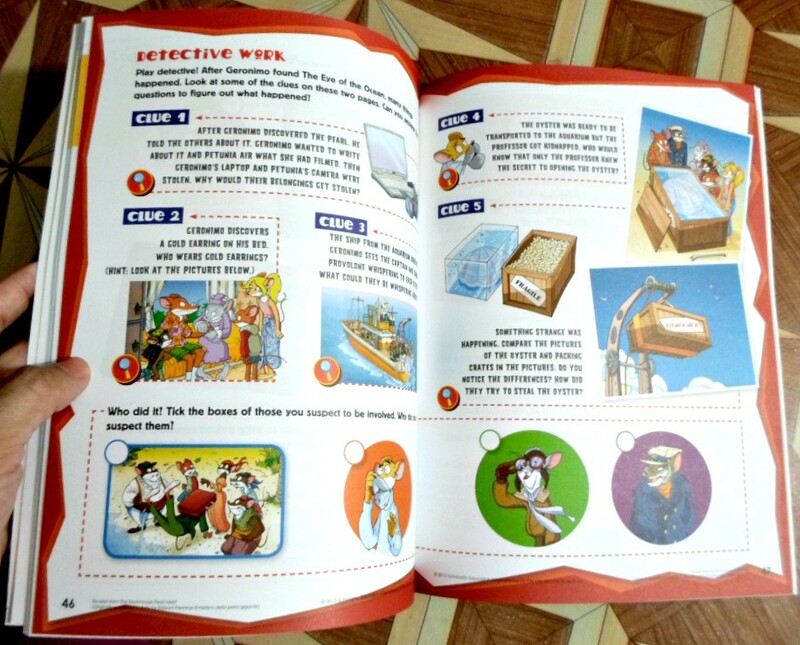 These books have feature excerpts from the best selling books of Geronimo Stilton like "The Stinky Cheese Vacation", "I'm not a Supermouse" and more. 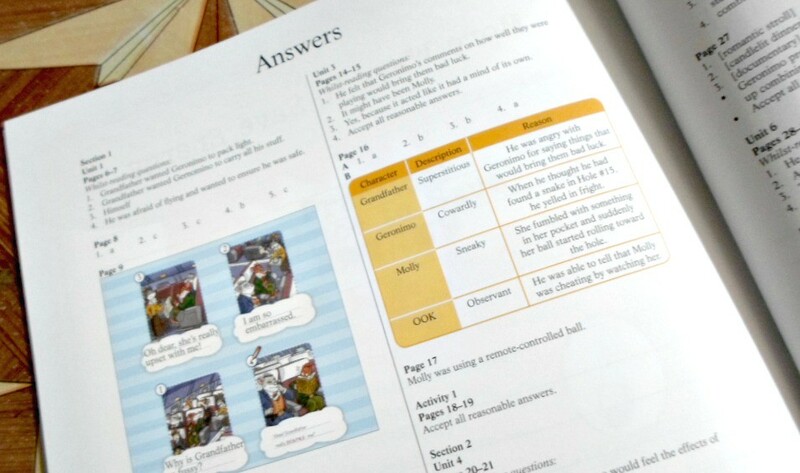 All workbooks are interactive and the wonderful mixture of illustrations stimulates your visual learners while making them think through the questions with the simple exercises. Look at that mouse go! You can see the featured excerpts at the bottom. ♥ Smell. Okay, it has nothing to do with the content sorry. I am a bookworm a heart, nothing beats actual flipping of pages. Hehe. ♥ Illustration. There are no boring pages at all. Each turn of the page is colorful and this sure will keep the kids engaged. ♥ Large text. Text is absolutely clear and readable and I love how some words are highlighted with different type of fonts that are colorful this allows your kid to be drawn to the words. This would definitely encouraged your kid to ask. Text is spaced out a large enough to understand. 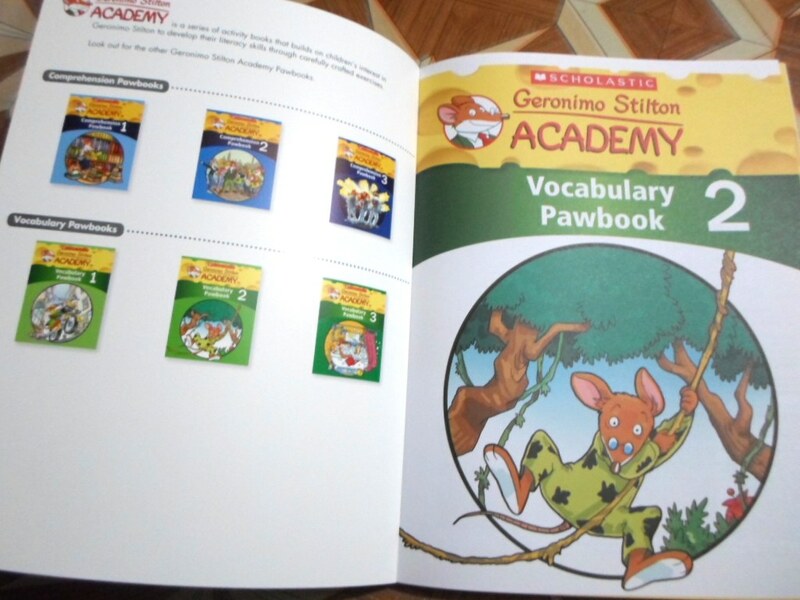 You can purchase the Geronimo Stilton Academy Pawbooks from National Book Store and Powerbooks for 229PHP each. Also check out their interactive website here. They still have an on-going warehouse sale until December 23 where you can get books for as low as 20Php! See more details here.